HMRC recently released guidance outlining how the VAT system is expected to change in the UK in the event that no deal is reached during Brexit negotiations. 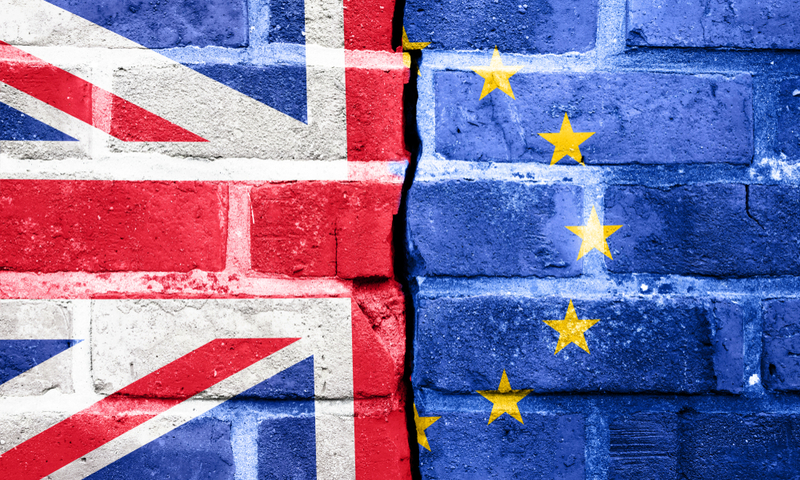 Although the government continues to stress that the chance of no agreement being reached before the UK formally leaves the EU on 29 March 2019 is unlikely, there are a few key proposals that businesses should be aware of as they continue to plan for a post-Brexit world. What will change in UK VAT as a result of Brexit? For the most part, the VAT system will remain unchanged for many VAT-registered businesses, as the UK’s domestic VAT rules will stay as they are. Even when it comes to businesses that currently trade and sell with the EU, and plan to continue doing so after Brexit, there is little in HMRC’s guidance that would give cause for concern. The guidance seems to suggest that the UK would simply be treated like any other non-EU country when it comes to imports and exports within the EU, and the VAT rules would change accordingly. While it’s reassuring that no dramatic changes appear to be on the cards, businesses still need to be prepared to adapt to the new rules should the UK fail to achieve a deal during Brexit negotiations. The below proposals are some of the key changes highlighted by the government. this means that UK VAT registered businesses importing goods to the UK will be able to account for import VAT on their VAT return, rather than paying import VAT on or soon after the time that the goods arrive at the UK border. This move is expected to ease pressures on importers’ cash flows, which would otherwise be adversely impacted in a no deal scenario. This is because, if no postponed accounting system were in place, importers into the UK would have to pay UK VAT at the time goods arrived in the UK, without any recourse to recover it back as input tax until they submit their VAT return. It’s important to note that postponed accounting will actually apply to imports from both the EU and other non-EU countries, meaning that importers worldwide would be able to benefit from these changes. If no deal arises, the government will abolish the Low Value Consignment Relief (LVCR) in respect of all imports into the UK, which would impact businesses both in the EU and globally. This means that parcels containing goods that are sent to the UK will be liable for VAT unless the goods are considered to be VAT-exempt or zero-rated. For parcels valued up to and including £135, the government has said that a technology-based solution will be put in place to allow overseas businesses to charge for VAT at the point of purchase and account for the VAT due to HMRC. While this solution is expected to be “an online registration, accounting, and payments service for overseas businesses” it’s not completely clear how HMRC intend to enforce this service and ensure that the VAT is actually paid over to HMRC. Further details are expected to be released in due course, presumably before businesses can register for the online service in early 2019. At the moment, if a UK business sells digital services to consumers in the EU it can use the UK’s Mini One Stop Shop (MOSS). MOSS is an online portal that lets businesses report and pay for VAT on their sales of digital services to EU customers. The advantage of this is that the business does not have to register for VAT in each EU country where it makes sales. However, if a no deal Brexit does occur, then UK businesses won’t be able to use the UK’s MOSS portal. Rather, they can select an EU member state in which to register for the MOSS non-union scheme. Registration can only be made once the UK has left the EU, and registration under the scheme must be made “by the 10th day of a month following a sale." If a business did not want to register for the MOSS non-union scheme, an alternate course of action would be to register in each EU member state where that business makes sales. If no deal is reached between the UK and the EU, then UK businesses will still be able to claim VAT refunds from EU member states, but the way in which that claim is made will change. Specifically, UK businesses will not be able to submit a claim via the EU VAT refund system. Instead, they will have to claim using the same processes that non-EU businesses use. The process of claiming a VAT refund differs across member states, so businesses should research what the claims process is in each country where they are likely to claim a VAT refund. The guidance is deliberately vague about how some of the proposals outlined above would be implemented in practice, as further information should be released over the coming months as the official date of Brexit approaches. It’s therefore unsurprising that little is said about how the above rules would be implemented in respect of the Irish border, which is invisible by virtue of the Belfast Agreement. To uphold the Agreement in the result of a no deal Brexit, the UK government would need to find a way to maintain this invisible border, while implementing new VAT rules. Clearly, it’s not obvious as to how this could be achieved, and it’s unlikely that the UK government has a concrete solution as of yet. Either way, time is running out, as Brexit is only a few months away. Although the UK government has emphasised that the chance of a no deal Brexit happening is unlikely, any business that trades with an EU member state would be well-advised to keep up to date with VAT announcements made by the government in respect of Brexit over the coming months, and to consult with their accountant if they have any questions about how to prepare for any of the above proposals. HMRC’s guidance notes for VAT are part of a wider collection of technical notes that provide guidance on how best to prepare for a no deal Brexit. You can read the VAT guidance in full here, and the wider technical notes here.